A handout on 10 ways of collecting and presenting memories (comic book, photo essay, crafts, song, etc.) suggesting different kinds of projects that would be welcome in the Centre d'histoire's up-coming exhibit, part of our borough's "100 ans d'histoires" Park Extension celebration. A registration form to submit a project (deadline April 15). You may keep your work after the show. If you think you'd like to do interviews, there is advice in "Doing Oral History. A Practical Guide. Using interviews to uncover the past and preserve it for the future." (a few pages are available here). The workshop was fun and showed that almost anyone can find a way to share their personal picture of the past. We hope several local submissions will be made by local people. 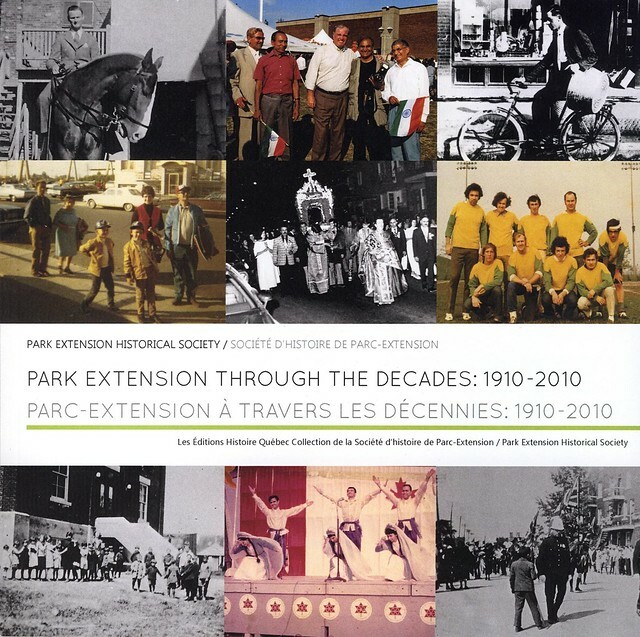 This is an invitation to all to share their recollections of things, places, and events of Park Extension's yesterdays. For more information, get in touch with the SHPEHS (fill in and zap us the Contact us / contactez-nous form on this site). Or come to the next Historical Society meeting!